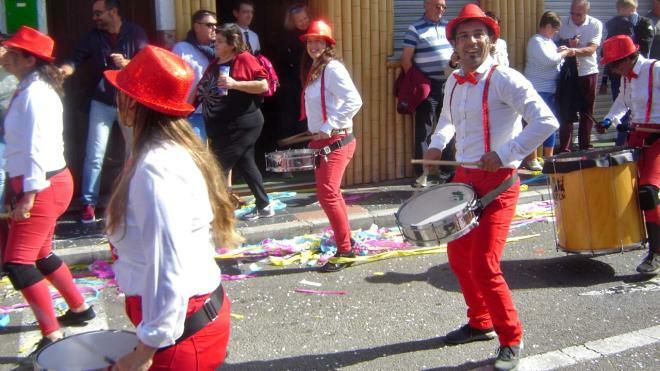 A colourful and noisy parade headed through the streets of La Cala de Mijas on the Costa del Sol in Spain on Sunday. Sunday 24 February was Carnival Day in La Cala de Mijas with lots of music, drumming, costumes and great floats heading through the streets. 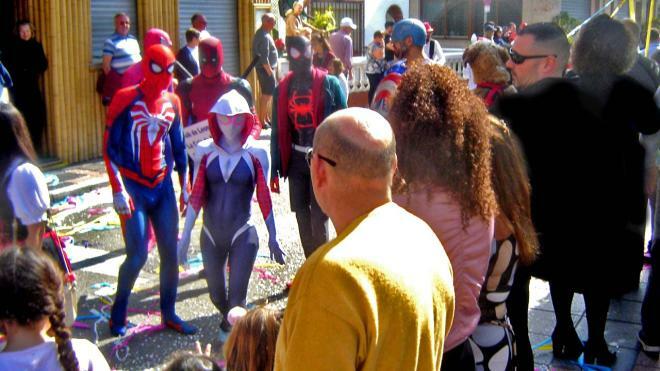 La Cala residents and visitors were out in force to enjoy the colourful, marine-themed event, which also included superheroes and Film characters. View a photo gallery below - please note all photos are courtesy and copyright Anne Sewell. It's not every day kids get to meet their favourite superheros. Both the superheroes and the kids had loads of fun. 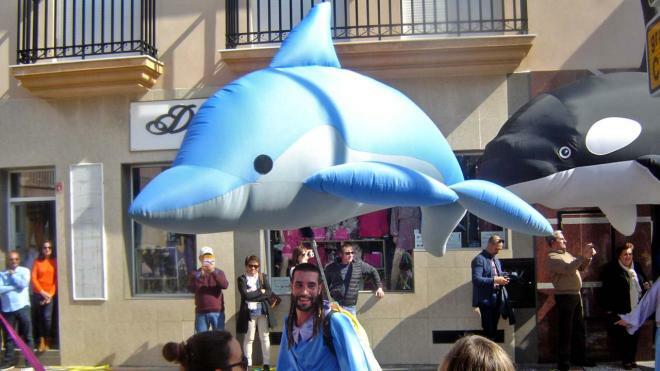 This smiling man was carrying a dolphin on his back, followed closely by a killer whale. These cheerful people were playing the drums rhythmically as they passed by. A big thanks to the Lions ladies!